Most of the women love jewellery, especially Gold jewellery, right? When we think of jewellery, we used to refer to only Gold or silver earlier, now, we have platinum, diamond and imitation jewellery. 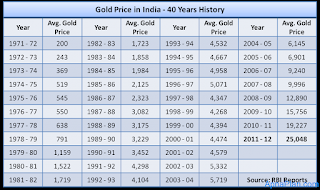 However, Gold has a special place in our society, that too these days, where its price is sky rocketing. Earlier, as women doesn't have equal rights on father's property, they used to get gold from mother, whereas, sons used to get property from parents. Now, things changed. Still, the tradition of passing on Gold to generations didn't change. 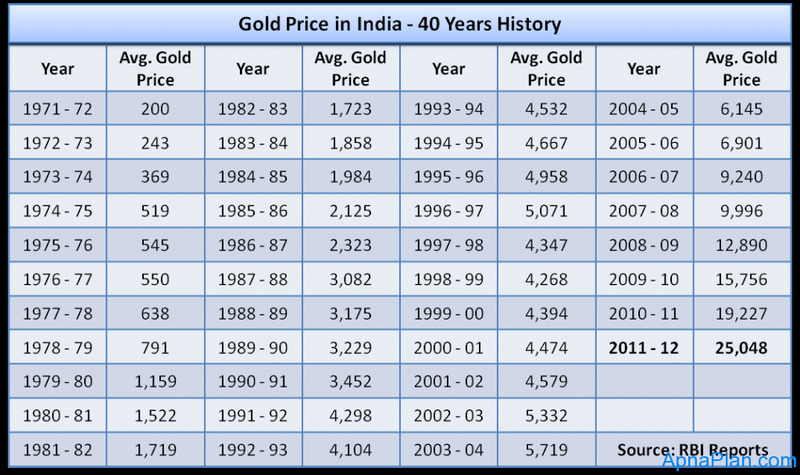 Got this chart from Internet, interesting right, how Gold price changed so fast? Because of this trend, people are thinking of Gold as an investment. But, it is a very risky investment, we cannot predict the rise/ fall of gold price for the next 4 to 5 years. Good thing, is to buy small chunks of Gold and save. 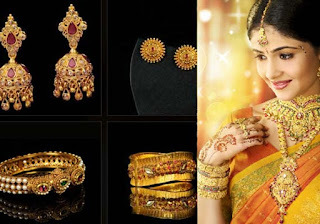 Almost all jewellery shops/brands introduced different gold saving schemes. Some schemes allow online transfer, some allow saving fixed amount every month and some allow variable amount. Some give a bonus on total amount while closing the scheme and some give a complete off on making charges. We love Gold so much that we cannot think of it as an investment. There is some emotional attachment to jewellery that we buy - it might have been bought for marriage or for any festival, or brought by husband or parents or boy friend for any specific occasion that we wish to cherish for life time. In this case, thinking of Gold as an object and selling it off for profit, doesn't seem well. Selling off Gold for any medical emergency is fine, but how can someone sell jewellery which has many wonderful moments associated to it? What do you think? For a moment forget about buying gold for your partner, just think can you buy a gold chain for yourself in single payment with your current pay? That thought itself makes u feel sick...!! First time I am here.. From indiblogger.